This offer ends on September 30th. All Joliette and Sisay products are now reduced to £5 or less. We are also offering for this last week of September a fifth product for free if you buy four of any of the Joliette and Sisay products available on our store. Made with Rhassoul Clay this Mask is infused with natural fruit extracts rather than essential oils - Your hair never smelled so good! Joliette Hair Mud Mask is an excellent Pre Wash Treatment. It contains keratin for strengthening hair strands as well as Rhassoul Clay which is an excellent natural cleanser. Follow up with a Deep Conditioning Treatment for luscious soft manageable hair. Rhassoul Clay is excellent for cleansing hair naturally. This masque is a wonderful pre shampoo treatment, it is not fiddly and is ready to use. No need to make a clay paste. Ingredients: Aqua, cocoamidopropyl betaine, organic shea butter, avocado oil, emulsifying wax NF, jojoba wax, sweet almond oil, coconut oil, rhassoul clay, vitamin C, vegetable glycerin, lactic acid (buttermilk powder), keratin amino acid, phenoxyethanol, xantham gum, chocolate truffle fragrance oil. Directions: Apply this mud mask to wet or dry hair, leave in for a few minutes, rinse and follow up with a deep conditioning treatment. Precautions: Do not use near eyes. For external use only. Keep away from children. Seek medical attention if swallowed or if in contact with eyes. Apply this mud mask to wet or dry hair, leave in for a few minutes, rinse and follow up with a deep conditioning treatment. Okra (INCI: Abelmoschus esculentus) is the fruit of a plant found primarily in the North and South American, but also in the Caribbean, Latin American and African countries is used as a vegetable. Okra(Okra) is a good source of vitamins A, B complex (B6, Thiamin) Vitamin B, C and E, iron and calcium. It is rich in fiber, low in calories and fat free. Okra also contains Folic acid, calcium and zinc. Okra is very nutritious. Not only as food but also for your hair and skin appears to be a super product okra. 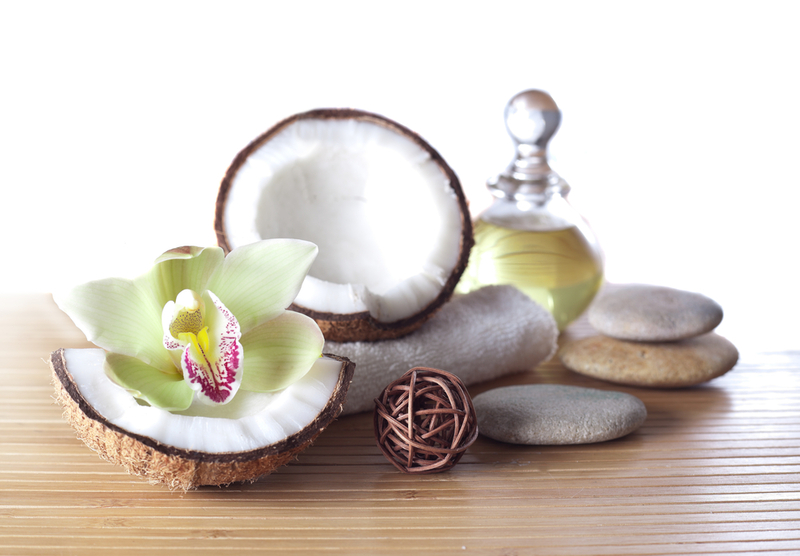 In many South and Latin American countries, this has been used for strong, healthy and shiny hair. Some even claim that regular use of ocher hair grows stronger and greatly stimulates hair growth. CONTAINS NO MINERAL OILS, NO PETROLATUM, NO PARABENS OR OTHER HARMFUL CHEMICALS. 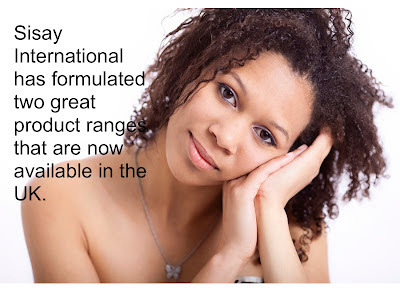 ALL SISAY HAIR PRODUCTS ARE SUITABLE FOR CHILDREN. We've added a free downloads page to our blog and store. At present there are only a few downloads but quite a few more are to be added soon! Please feel free to read and download our hair guide for the parents of black children, updates and more pages to be added soon. BBC3 are looking for talented amateur hairstylists for a brand new competitive and celebratory TV series, so if hair is your hidden talent, get in touch! Grab your combs, hair spray, bobby pins, and curling tongs and apply to take part in the most exciting thing to happen to hair since straightening irons. We're looking for Britain's most talented and innovative unqualified hair enthusiasts to take part in a competitive hairstyling extravaganza. We're especially keen to speak to people who can cut hair too. Whether you've had formal training or not, so long as you haven’t completed an NVQ Level 2 in hairdressing you can apply to take part. If you know the difference between a finger wave and a pin curl, can work your magic on anything from a beehive to an avant-garde creation then we want to hear from you. And some scissor skills would be handy too! Please email us for an application form or download one from the link below. Age limit: Applicants must be 18 years and over, or 16 years and over by 1 August 2013 but with parental consent. You don't need to have had any formal training to apply. If you are currently in training, you must NOT have completed an NVQ Level 2 in hairdressing. Application form: Download and complete the HAIR! application form (Word, 97KB). Yes I know that sounds a little dramatic but it has been hectic and busy to say the least and I have actually ended it in bed as I have a cold now. The reason that I am so grateful to the 1/8th of the bottle of Fountain Pimento Oil is just due to this mad week. Not sure what was wrong with my back last weekend but I suffered for two days with lower back pain, as it was the last sunshine we were going to see for a while I took it upon my self to walk everywhere, which was probably a bad idea when carrying young children and a backpack full of the gubbins that comes with them. I also probably didn't sleep properly. By Monday I finally remembered that I had some Fountain Pimento Oil in the cupboard, not much but enough to rub onto my back. I gave it a shake and gave it a go. Went to bed and slept like a baby the smell of the Pimento Oil is so soothing and heavenly. Woke up in the morning back pain gone and hasn't returned (yet). Result! By Tuesday I was still tired from the previous week and after taking Sebastian to yet another after school activity went off to my weekly aerobics class. My ankles had been hurting since my martial arts training on the weekend but I had ignored them and after my aerobics class I was dying. Massaged my poor ankles that night before bed and woke up with them feeling a little better. Still sore mind you but not as swollen and I felt a little brighter. By Wednesday my cramps hit with a vengeance and I usually use Pimento Oil for days like this. As usually worked like a charm. Soothing and relaxing! On Thursday I fell down the stairs and knocked my arms about a bit on the bannister. They hurt for a while but I gave them a little rub. Too painful to massage I think they may be a bit bruised. Felt better in the morning. Still cant explain but today my ear is completely swollen. Even though the outer ear is swollen it hurts my inner ear too. Got a cotton bud and swabbed the entire outer ear. Painful. The oil numbed the pain a bit. Compared to the ache I had in my ear before, I feel a lot better. Needless to say I finished that bottles of Oil and went off to buy another. Hopefully next week will be a little less eventful. 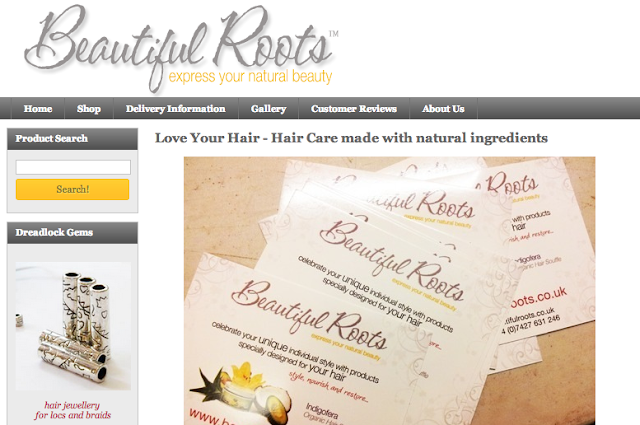 Are you a vegan and looking for products for your natural hair. There are probably many others that do not list themselves as vegan but if you know of any please list them in the comments below. What better way to care for your skin and hair than with products so pure they’re practically edible? When Anita suffered a harsh reaction from using a so-called ‘safe’ synthetic hair lotion, she set out on a mission to create her own line of natural hair and skin care products. Since its launch in 2005, self-proclaimed ‘ingredient junkie’ Anita Grant has created environmentally-conscious cosmetics for her eponymous brand. Revives the hair and balances the scalp. A leave-in moisturiser for all dry or curly hair types. R & B is a little different from the rest of our hair products because it is designed to be left in, not washed out. It is like putting a face moisturiser onto your hair. The effects are amazing. Use it after washing or through the day for a boost. Unique to Jamaica, these powerful liquid remedies have been used for centuries as traditional “Bush medicine”, renowned for healing, soothing and antioxidant benefits. 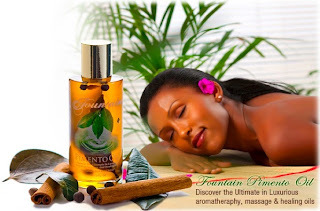 Fountain™ Jamaican Oils advantages include well being, moisturised and toned skin, amongst many others! Beija-Flor Naturals is a vegan/vegetarian body care line with luxurious treats that promote healthy skin and hair....natural health and beauty remedies as an alternative to mainstream products. 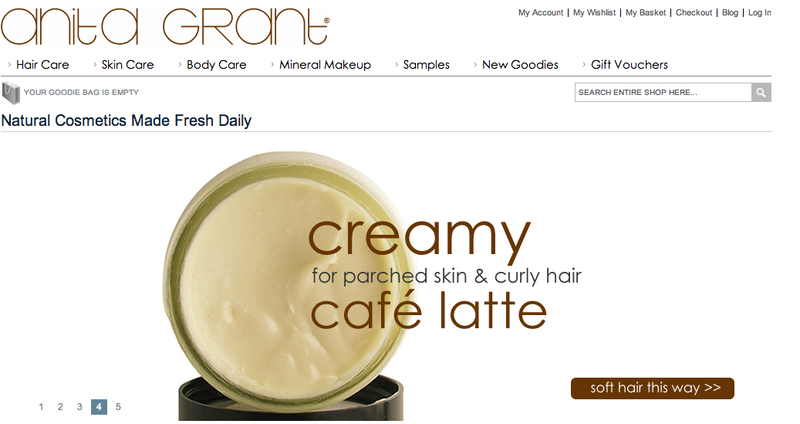 The products are non-irritating and suitable for extra dry skin and sensitive skin types. Our all natural ingredients are organic whenever possible with vegan products that do not include petroleum-derived ingredients, harmful parabens and other chemicals. Most of their products are vegetarian or vegan! 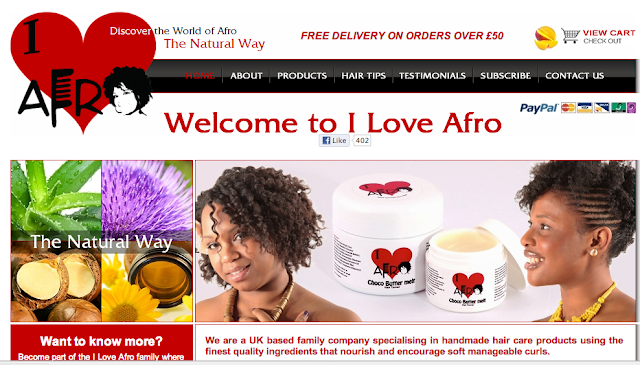 I Love Afro was borne in 2008 by two ladies, Tash and Sash (cousins) as we found sourcing beneficial products for our hair difficult. Products we had used for years claiming they provided moisture, nourishment, tamed the hair etc. did the total opposite. 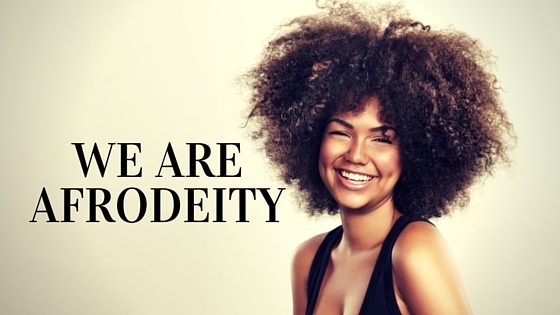 As you can imagine learning to manage our hair took time and patience but with a real interest in this area we gathered vast amounts of information on maintaining a natural/curly textured mane and before long we embarked on a journey creating our own products suitable to our hair needs. Today I wanted to focus on another wonderful fruit from the Caribbean. Of course avocados are found in many other places all over the world but I wanted talk about what we in Jamaica like to call 'pear'. 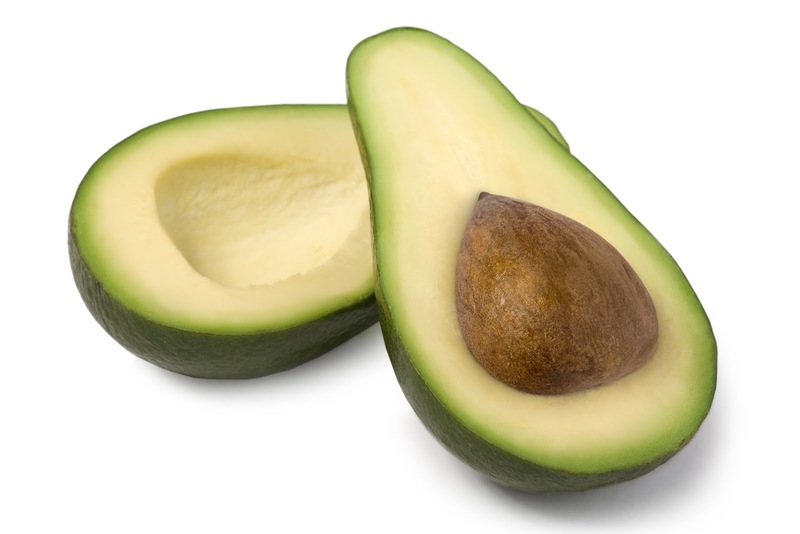 Avocados help soothe, soften and revitalise dry hair. They contain fatty acids that strengthen hair and keep it lubricated and vitamin E that nourished and conditions the hair. The oil of avocado can be applied directly to your hair or scalp and has even been known to be use as an effective protection from UV damage for hair. With winter on its way and we already seem to be experiencing particularly cold weather here in the UK, a great treat for you dry brittle hair at this time of year are avocados. I like to whip up my own mask now and again but you can also find great products with this ingredient in. One set products I have recently used and loved is the Activilong Activ Repair Avocado range. My favourite product had to be the Fantastic Oil from this range, not greasy at all and my hair just loved it. This recipe uses two ingredients I swear by Avocado and Egg. and mash in 1/2 of an avocado. Apply the paste to your hair (wet/dry) leave in for 20- 30 minutes and wash out. If you have dry hair why not try an avocado hair mask! I was happy to tune into the third instalment of Caribbean Food made easy. As someone who has never been any good at cooking Caribbean foods of any kind I was pleased to watch this and pick up some well needed tips. 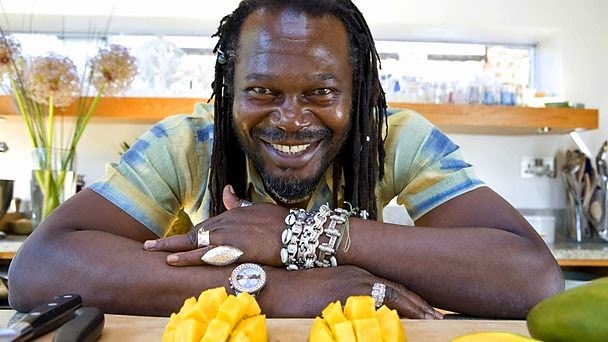 "Levi Roots grew up in Jamaica where his grandmother taught him the magic of Caribbean cooking. He later moved to England, but yearned for the music and sunshine of Jamaica. What I love about Caribbean food is that it isn't just hot and spicy, it is packed full of flavour. Learn more about Caribbean food and some interesting facts about the Caribbean thrown in. "Carry mi ackee go a Linstead Market not a quatty don't sell"